Watch closely for hidden codes to unlock special characters! We Yakuza fans have all enjoyed delivering roundhouse kicks and righT-hand jabs a2 the DragOn of DojiMa, but what if you could take some of your favorite Yakuza characters and pit them against each other as leaders in Kiryu’s very own Kiryu Clan? Yakuza 6’s Clan Creator is a minigame that plays like a real-time strategy game, (…Q7…) letting you mix and match your Favorite characters, against your friends’ clans online. In this Minigame, characters will lead their street armie5 to take objectives and fight enemy leaders. Imagine a top-down Kiryu vs. Majima in an open street Brawl as each leads an army of fighters and you get the idea. 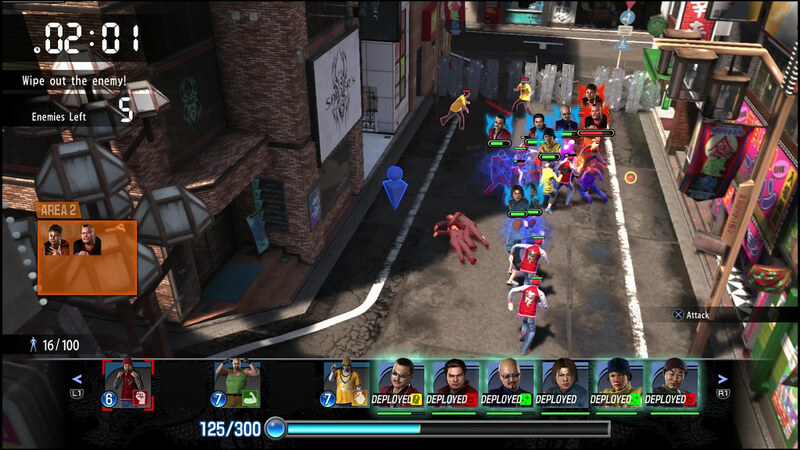 The characters and on-screen fighters are controlled by the game’s AI after payers upload their carefully selected teams. 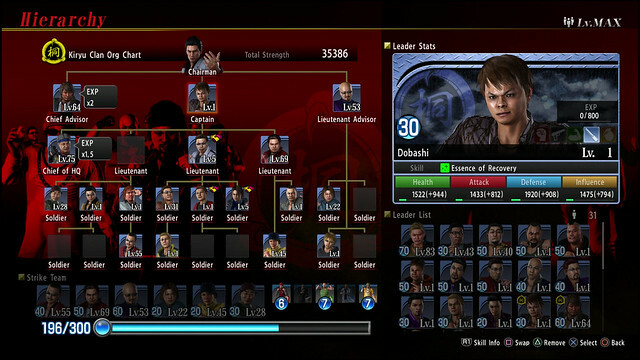 Players will be able to spend experience points they receive through gameplay to train “leaders” like Kiryu himself, Daigo, Akiyama and Date to lead the charge. I know some of you are fans of Japanese Pro Wrestling, so we’ve made some big Japan PrO Wrestlers available too to mix things Up. Your dream Kiryu vs. Rainmaker battle awaits! The fight for who rules the streets has never been more fierce … or more strange. You’ll be able to collect Common, Rare and Super Rare characters. 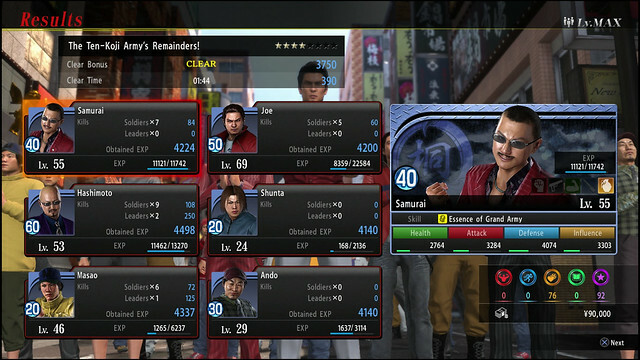 While the leaders and their clans will be guided by AI, there is a degree of skill involved: players will be able to utilize their leaders’ special skills to heal and buff their street armies or perform powerful strikes, influencing battles that take place on the streets of Kamurocho. We’ll also be planning some cool events post-launch around this fun minigame. Yakuza 6: The Song of Life comes out March 20, 2018. Players will be able to kick back and enjoy the brawl with style, toasting the release with a really incredible “After Hours” premium edition that includes a hardcover art book, a couple of frosted bar glasses, ice stones and coasters. Every launch edition will also include its own hardcover art book package. The “After Hours” premium edition and launch editions will run with an MSRP of $89.99 and $59.99 (with commensurate European pricing). You can pre-order it now. I would be really disappointed if the Fist of the North Star game is not coming outside of Japan because SEGA thinks that this anime is unknown everywhere besides in Asia which is so wrong. Hopefully Atlus localizes it over. Well, know that I’ve heard and communicated your interest. @joyrul96: we’re thinking about how best to bridge that gap. In the meantime, have you seen this? http://yakuza.sega.com/experience/index Many more updates to come, but it will be a good starting spot for those new to the series. You can read up on what happened in the other games in the main menu (at least in the JP version). Can you guys make a Jojo’s bizarre adventure game after you finish fist of the north star? Yay, glad to finally get to play this in english, tried this a few times in my import copy, but gave up after the second or third time playing them. Now then to demand Kiwami 2, Fist of the North Star, and where the bloody hell is PSO2, like do we need to make a blood sacrifice or something for PSO2? Thanks! We’re glad to finally bring it over. And please, no blood sacrifices. My kinda person right here. I want and NEED more Yakuza! You guys localize it, and we’ll be buying it for sure! Really want to see both the new Yakuzas announced, Kiwami 2 and the online one, to come to America. I already did the survey, just seeing comments be replied to I wanted to make my voice heard. All you guys have to do is announce the games, and I will buy them. Shenmue 1 & 2 HD Collection SEGA!!!! Pretty hyped to see the NJPW guys, it’s a shame you’ve hardly mentioned it during promotional stuff in the US. Yakuza games are awesome. Please consider brining over Yakuza Kiwami 2, Yakuza 3 through 5 to PS4 to North America (NA). Also, I would also love Fist of the North Star in NA as well. Since I am begging for Sega games, would love to see something like Sonic’s Ultimate Genesis Collection make its way to PS4 (and Vita). Thank you for bringing yakuza 6. I already pre ordered my copy. Put me down as another person who wants kiwami 2 and fist of the North Star. Ya ta ta ta ta ta ta!!!! Has the pre-order for the After Hours edition gone live yet in the UK/Europe? I have been keeping my eye out, but haven’t seen it anywhere. It will probably be the best Fist of The North Star game ever, It can’t remain a Japan exclusive. Looking forward to Yakuza 6, which I’ve already pre-ordered. Like others have said, keep on releasing them and I will buy them.